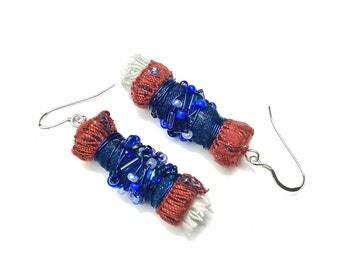 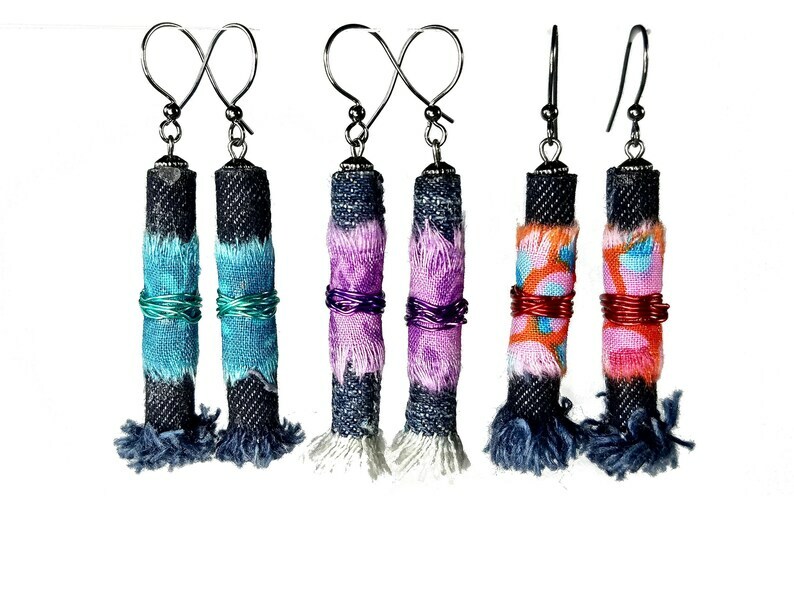 Boho jewelry, fiber art jewelry earrings made with upcycled denim and fabric scraps in your choice of teal or purple dangle earrings. 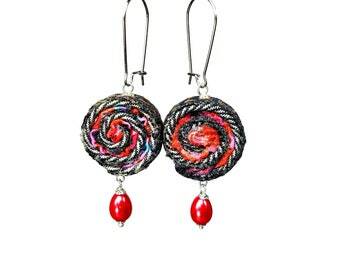 These colorful earrings have an artsy or Bohemian feel, they measure 3 1/2" long with dark gunmetal plated steel ear wires. 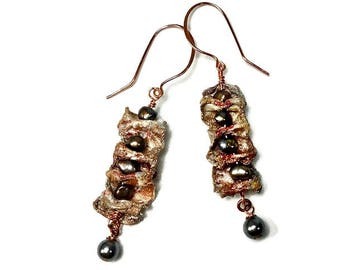 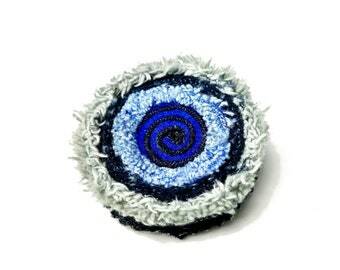 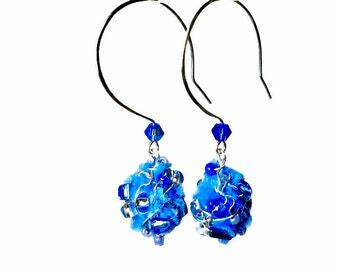 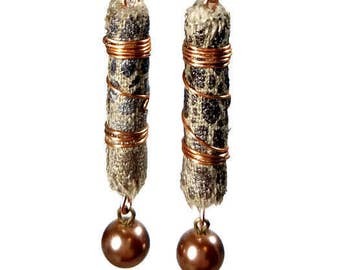 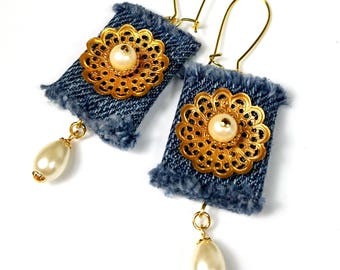 - Unique design you will not see these denim earrings on anyone else! 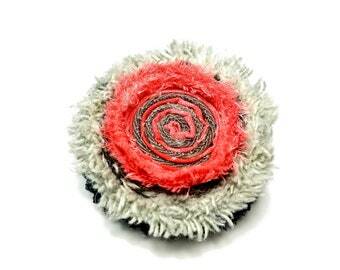 - Your satisfaction is guaranteed, please CLICK the "add to cart" now or heart to "favorite", thank-you!